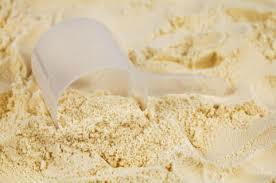 We have gained an expertise in offering the high-quality Whey Protein Concentrate to our clients. These products are formulated with the premium quality ingredients and technology, as per the food quality standards. It has a delectable taste and excellent nutritional value, as it not only contains essential amino acids but also various vitamins and minerals. It is widely recommended by experts to fulfill the protein requirement of the body to recover strength in muscles of gym goers. Clients can buy this product from us at reasonable prices. Specifications - 35%, 70%, 80% Known as the king of protein, extracted from the milk of a protein with high nutritional value, easy to digest absorption characteristics with a variety of active ingredients. It is recognized as one of the human body of high quality protein supplements. Whey Protein products can be formulated into a number of products including, but not limited to, Beverages, Bars and Yoghurts. 100% Whey Protein has the lowest molecular weight of any protein. This allows your body to absorb it quickly and easily without bloating, gas or stomach upset. Good water preserving capability to preserve water and gravy of meat products, keep the taste and flavor of meat products; enhance water absorption of baked food and pastry, hold water of food, reduce shrinkage and prolong its freshness date. - Good gel agglutinative property to hold water, flavor and sugar of food by gel texture of protein; give products better elasticity, improve texture and slice up capability of products. Good emulsification to accelerate the forming of oil-water emulsion, prevent oil droplets from massing, stabilize the state of emulsification. This can increase the output capacity of products, reduce product costs, and make the preserving capability of water and oil 1:4:4 (1 unit of protein can absorb 4 unit of water and 4 unit of oil or fat). - Good liquidity, high viscosity etc.